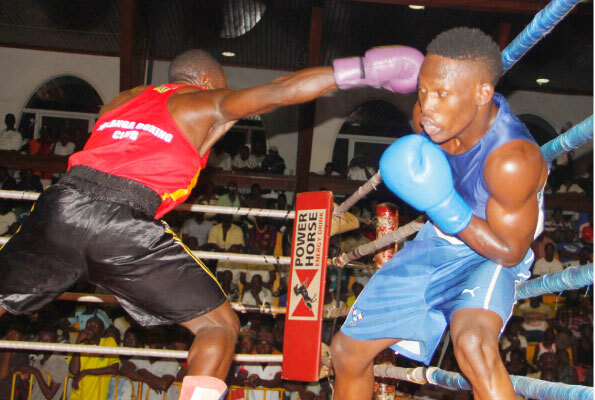 KAMPALA – The Constitution Court, on Friday in favour of current Uganda Boxing Federation President Moses Muhangi and gave green-light to the National open Boxing Championships slated to start today, Saturday 19th at MTN Arena, Lugogo. Former Uganda Boxing Federation Patron Kenneth Gimugu had filed a case claiming that the National Open Boxing Championships should be postponed to give time of preparations to clubs that had been locked out to participate favourably. “We expected to win the case because we have been doing everything in a proper way. We have now won 11 court cases, it’s a pity to see Mr. Nyakana and colleagues wasting people’s time and tax payers’ money. I believe it’s time for them to sort themselves. Said Muhangi. Nyakana on the other hand called upon Muhangi to change his attitude to avoid more Cases in Courts of law. “We had requested that clubs that had been locked outside should be given at least 30 days to prepare but court has decided that this might disturb the processes of the Federation. The Court has also judged that every club should be given more time to participate in the AGM which is to take place on February 16th. Nyakana was quoted. The Court ruling means that the National Open Boxing Championships will take place starting today. It is estimated that around 500 Boxers from over 35 clubs will compete for major honours.